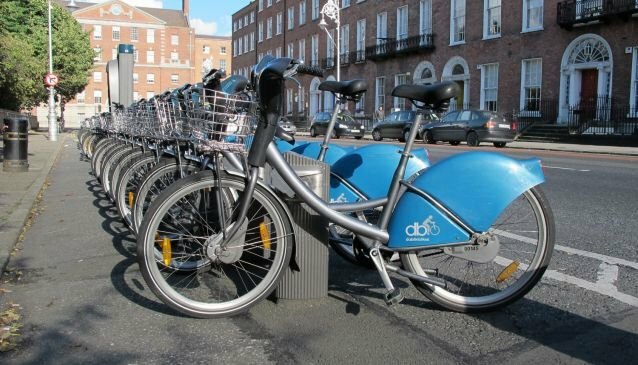 dublinbikes is a self-service bike rental system open to everyone from 14 years of age. At each of the stations, there's a terminal. All stations are equipped for Annual Card and 3 Day Ticket users, and a number of credit-card-enabled terminals allow you to purchase a 3 Day Ticket. Once purchased, you can use the 3 Day Ticket or Annual Card to rent or return a db from any station in the network. You can enjoy the many benefits of an Annual Card for just €20, and a 3 Day Ticket costs €5. The first 30 minutes of use is free on every db (after this first half-hour a service charge applies). Be advised, you must subscribe online for a Annual Card, and the terminals don't accept debit cards when purchasing 3 Day Tickets. Full details of how the scheme works are available on the dublinbikes website.